I've also got the same Russian version but I've never managed to find a full FSM in English! Really frustrating as the Russian one would be brilliant if it was in English (obviously). Do we know if the NZ one is any good? If it's a full blown FSM in English and its in PDF format then a load of us could club together to buy it and then email it around maybe? Honestly I have no idea, but I think it's exactly the same as the Jap one only someone translated it all. Thanks for the other link, I also found that one before and used it when I had my engine to bits but from memory its only good for the bottom end stuff cos its for the earlier rev of the engine in the celica and MR2 etc? 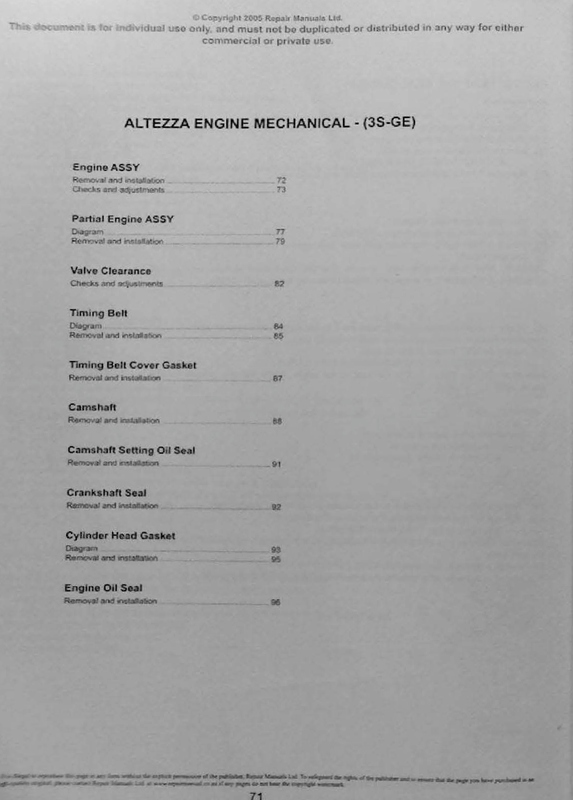 So I dont know if the pages before 72 are relevant to RS200 or if they are for other models or other engines?